We are digging murals lately. So when my daughter refused her nap for the third day in a row instead of breaking down and crying like I wanted to I grabbed some paper and we made something. 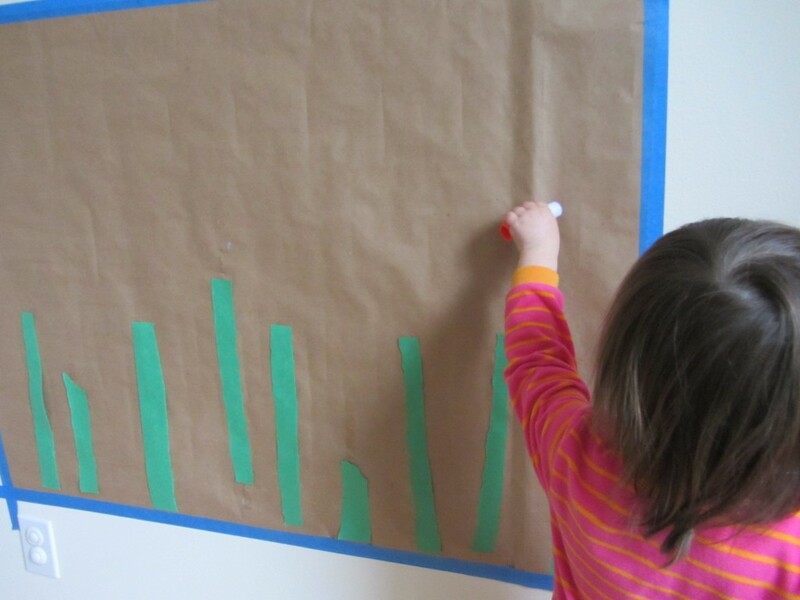 This mural, like our alphabet wall mural, won’t get finished in one sitting. In fact, I leave things to add to it until it’s removed weeks later. I love having ongoing art projects that grow and change over the course of a few weeks. 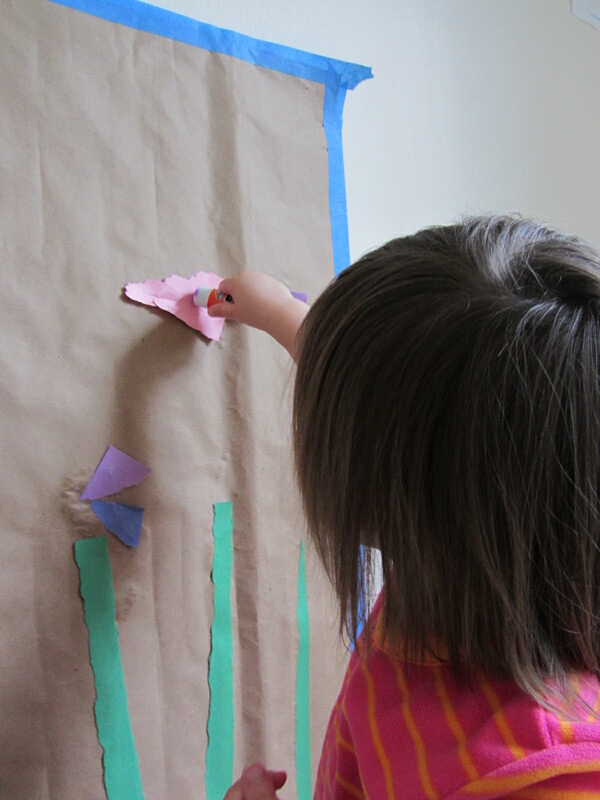 There is no wrong way to do this cooperative project for kids! 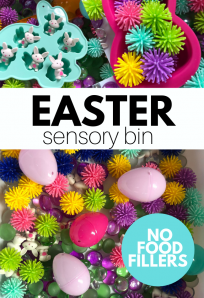 Just choose from the materials you have, that are safe for whatever age or stage of development your kids are at and have fun! Gather your materials. You will need a large piece of paper for the wall, I love craft paper but the underside of extra wrapping paper will do too. 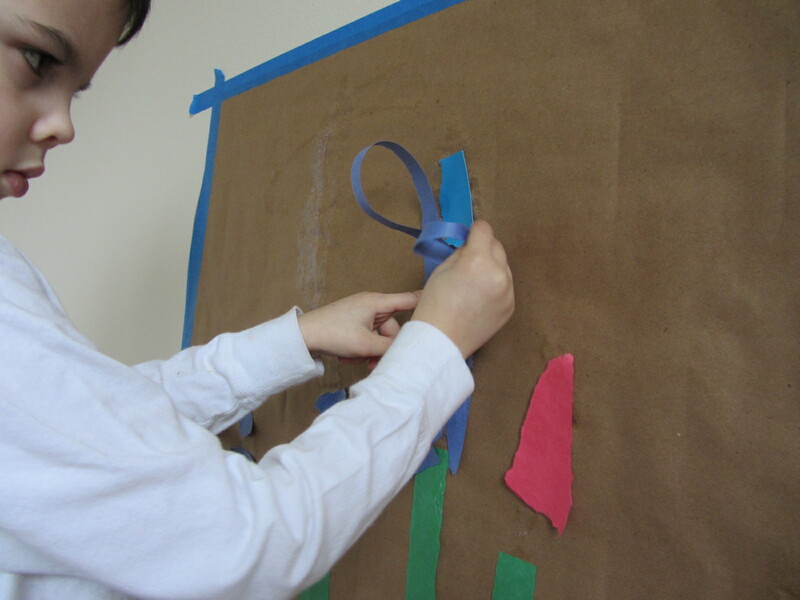 We also used painter’s tape, glue sticks (avoid with kids who may put them in their mouths. 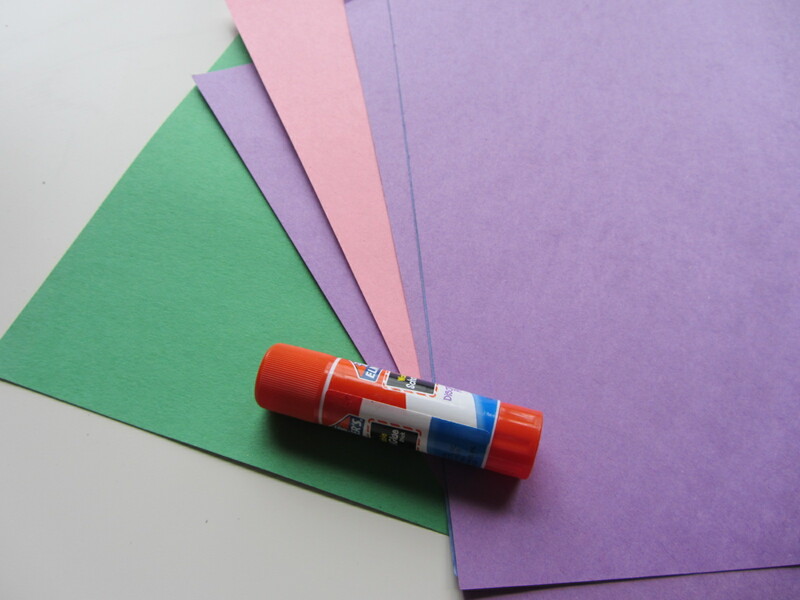 Those suckers are choking hazards), scrap paper, pom poms, double stick tape… These are just what we used you can add in whatever you can. Just try to mix a few materials together. I love handing my kids something new and saying “How could we use these for this project?” and watching the wheels turn. Put the paper up. 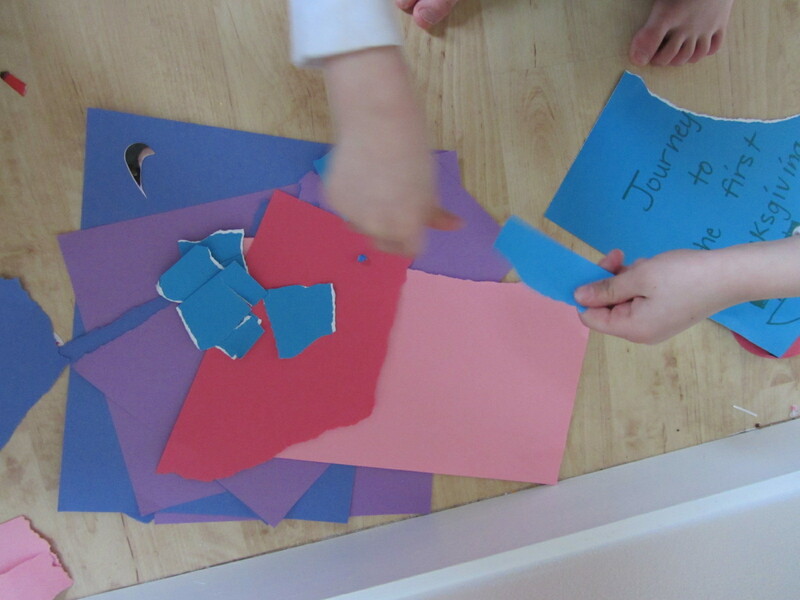 Grab some construction paper and start ripping. I just sat by the mural while my kids were playing with their usual favorites in the playroom (Duplo and board books) soon enough they came by to see what I was doing. 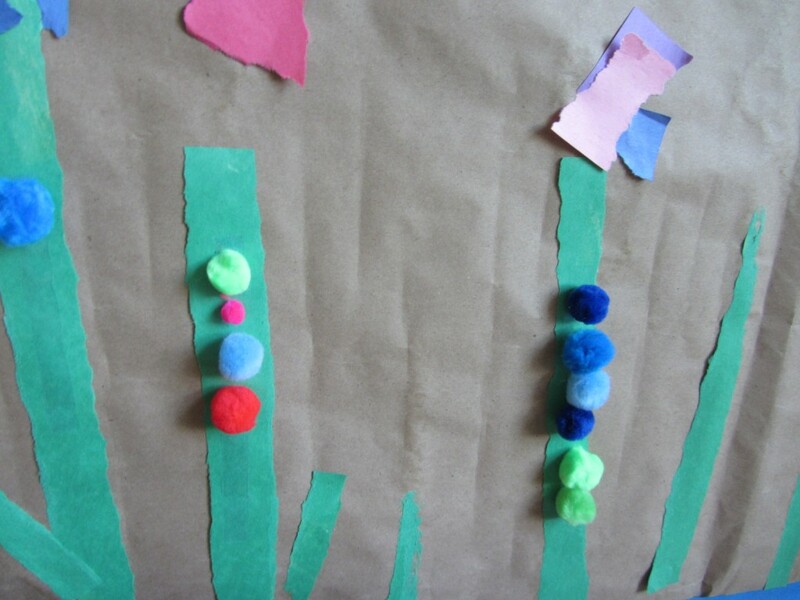 The plant turned into a garden so we added the stems first and the kids went straight for the glue sticks. I ripped the stems at my son’s request. He had a hard time ripping them into long strips. 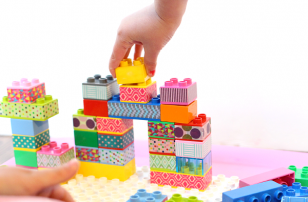 I want to make sure parents know there is no issue with helping your kids create. I get emails asking “Do you ever help?” At their request of course! I don’t do anything my kids can do on their own. But if they get frustrated and ask for help, I will step in and help. Projects aren’t meant to be tests to see what they can do. It’s time to work as a team. Especially ones like this that’s meant to be collaborative. They had fun adding the paper. My daughter stuck to one side of the mural. We aren’t sure of her creative vision. 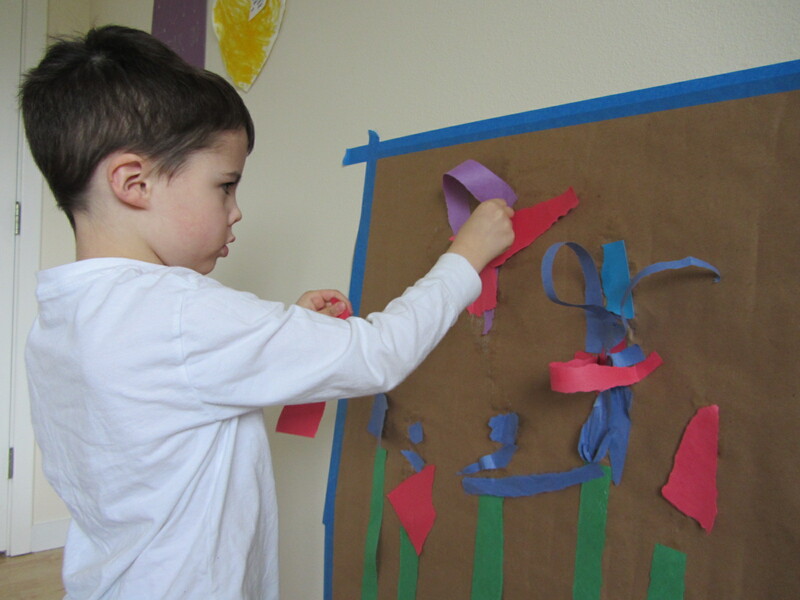 But my son and I thought that her collage looked like a butterfly! I was giddy when I heard my son call me back over (I’d gone to the book nook to read with my daughter) to see how he discovered he could glue ends of paper down but make the middle pop out at you. In true 5-year-old boy fashion, these were named “Missile attack flowers”. This is how it looked for days (you can even see it in the background of a few previous posts). A few days later when we were in the playroom and they were busy playing I grabbed the double stick tape and pom poms and set them out. Soon I had two kids creating once again. I think when we return from our holiday we’ll get other material out and see how it fits with the paper and pom poms. What do you think we should add next? 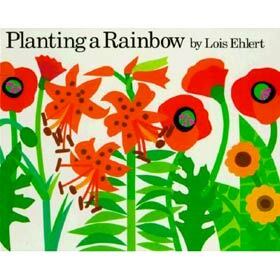 Planting a Rainbow by Lois Elhert is a wonderful book to use for teaching about flowers and colors. 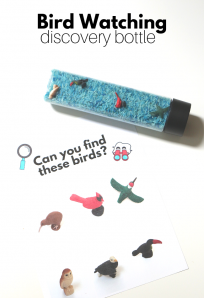 The illustrations are bold and bright, perfect for little curious minds. I have always liked this book because you can sit down and dive into it reading each flowers name on every page, or browse it more casually with a younger child simply noting the colors. 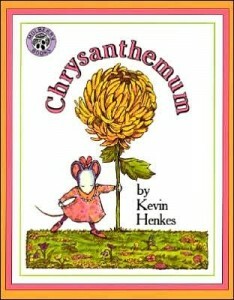 Chrysanthemum by Kevin Henkes is a lovely book about having confidence, losing confidence and regaining it in the end. Chrysanthemum is a little mouse who loves her name. That is until she goes to school and is picked on for it being out of the ordinary. Who can”™t relate to this? I know I can. Thankfully my son has yet to experience this all too common, but still heartbreaking experience. I love that I have a book like this to share with him and open up about it before it happens. Ultimately Chrysanthemum learns to love her name again and regains the confidence she once had. Another fantastic book from a consistently wonderful author. 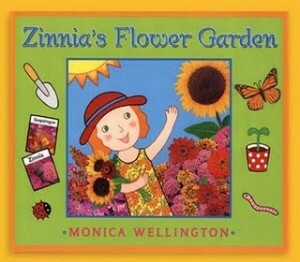 Zinnia”™s Flower Garden by Monica Wellington is really useful not just for teaching kids about flowers and gardens, but also about patience and the annual cycle of a garden. Zinnia plants and waits, waters, enjoys her flowers, then they die. She collects the seeds and plans her garden for next year. I love that the main story is perfect for my almost 3-year-old. 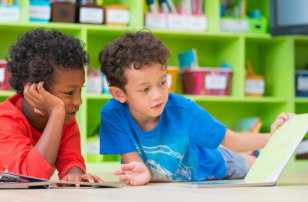 But there is much more for older children with longer attention spans. There is a little journal with notes about what”™s happening with her garden, and various facts about plants as well. Like in so many of her books the author celebrates hard work and her characters take great pride in what they do. A fantastic message for readers, big and little. I also love the mix of illustration and photographs in this book especially. It gives the illustrations depth and a really interesting look. For more quick tips on helping your child learn to read check out my book; Raising A Rock-Star Reader. 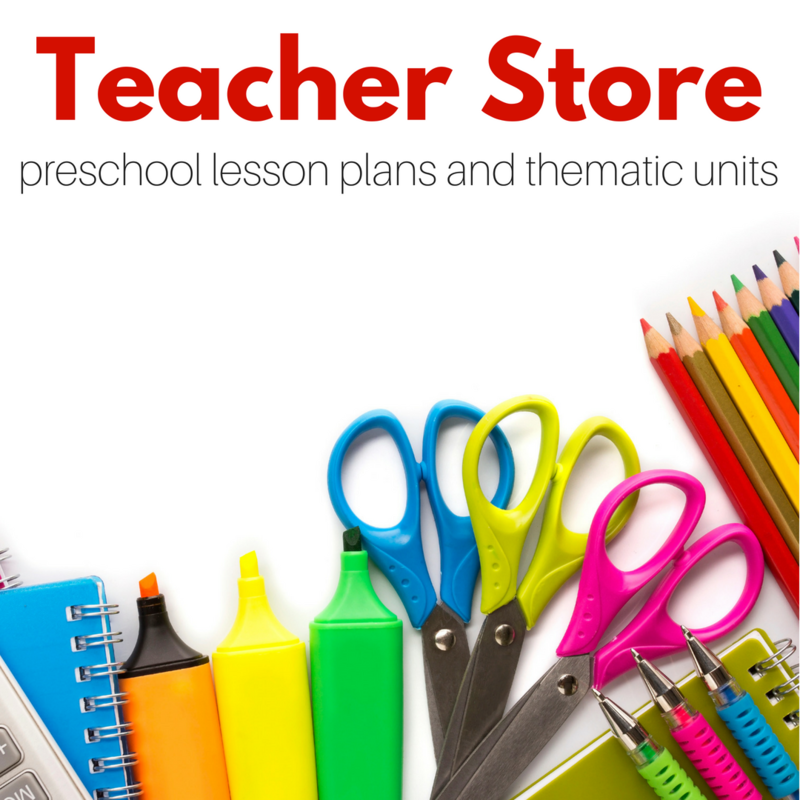 This book includes fun ideas for families, book lists, and advice for parents. You can also follow me on Facebook for more great tips! yep. totally doing this! we’ve been drawing on craft paper and then they use it for tracks and things but i love this idea!!! What a great idea! I will definately do it in my class! You always have such creative ideas. I think now that my daughter is almost 2 I need to amp up our craft bin so that I can pull stuff like this out on a whim. Are small assortment isn’t cutting it anymore. 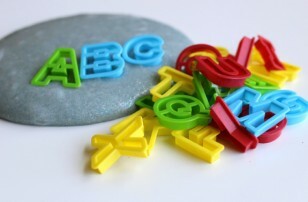 I’m curious if you have ever used crafts like these to casually introduce a math concept. I’m always looking for more fun ways to work on numerical value and patterns and things. I posted some ideas recently about working with numbers, but they are all on the practical side, I would love some more creativity! I love this! Thinking of getting this up in our playroom to “grow” this spring. I love projects they can work together and come back to over a few weeks or months. I also LOVE the book Chrysanthemum, after growing up as “Shelisa”. I have used that book in the beginning of the school year as we celebrate each child’s name. I’m a huge fan of all the Kevin Henkes books…makes for a good author study. 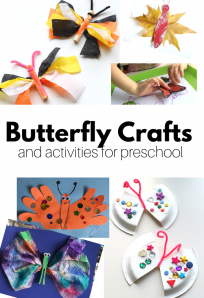 Did something similar with my daughter and the Chrysanthemum book (love that book! 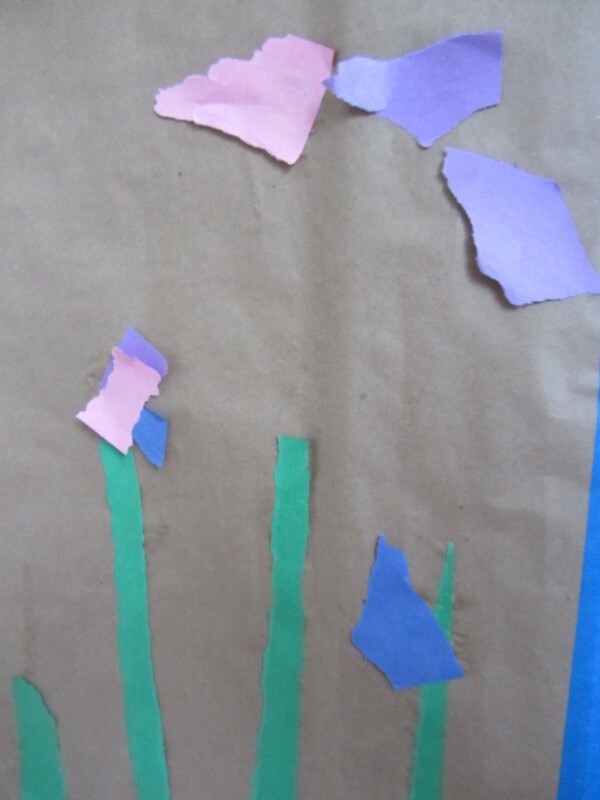 ), making flowers on butcher paper but we used names of characters from the book, names of people in our family, names of friends. We had so much fun with it. I love having my kids help “decorate” my house. Can’t wait to do this! This is adorable! 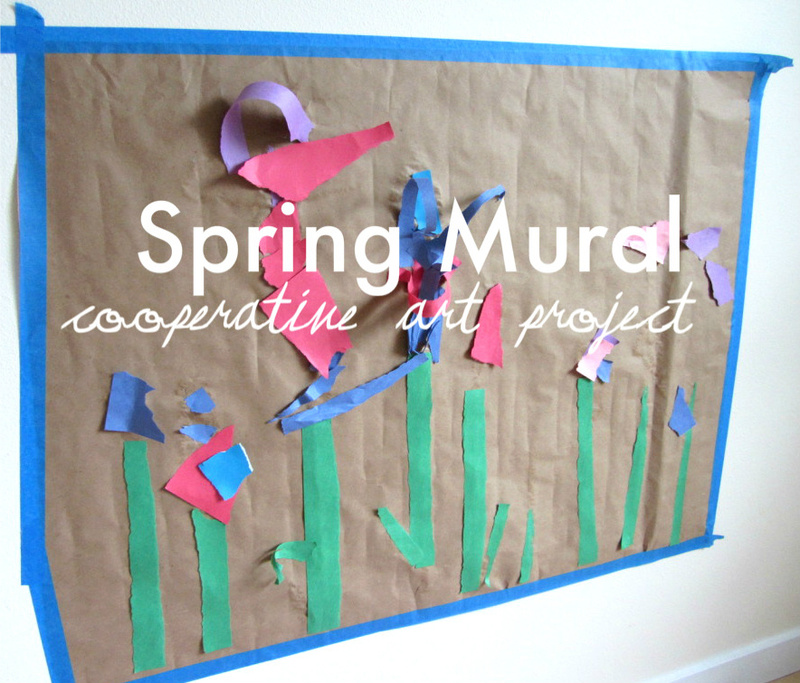 I bought some of this craft paper after your last mural post and we will need to make a spring mural now. 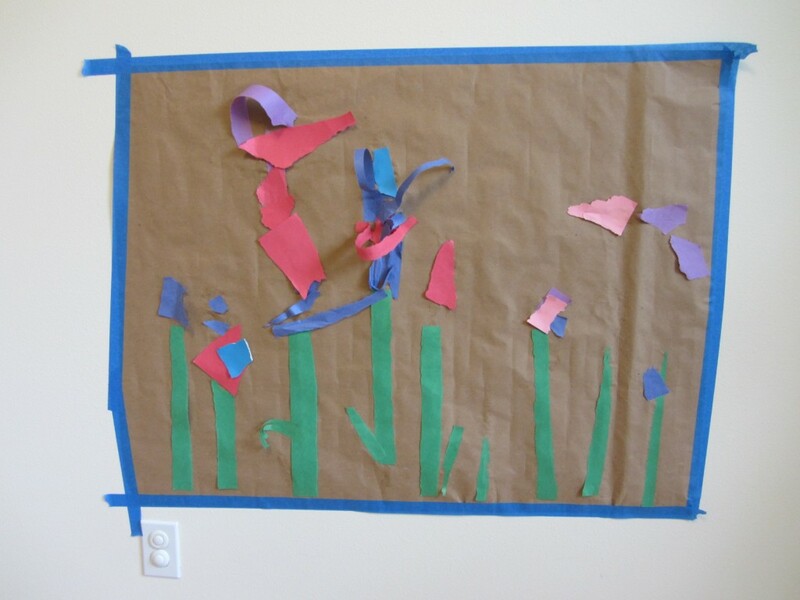 This looks like it would make the room look so bright and festive, in addition to being so fun to make! Love the idea of an ongoing project that can be added to over time.